Ion beam technology provides applications and advantages that other technologies, such as plasma or evaporation, simply cannot match. In order to understand why an ion beam source is so advantageous, there must be also be an understanding on how the process essentially works. Here is an explanation on how ion beam sources function as well as the reasons why they are so useful for deposition purposes. An ion beam source can be described as a plasma source that’s fitted with a series of grids, designed for the purpose of allowing streams of ions to be extracted from. This technique has been long used and preferred for deposition methods and provides substantial quality and depth within the substrate. Ion beam deposition begins within the discharge chamber. A gas is subjected within the chamber, which can be a quartz or alumina. An RF powered coil surrounds the chamber and provides a high amount of energy that breaks gas atoms into ions and electrons, otherwise known as inductive coupling. Once the plasma becomes established, through the ionization of the gas, the ion beam source is ready to deposit. One of the major concerns about any deposition method is the quality output. How is the film smoothness? What about the thickness of the film? Is there a clean sense of uniformity? 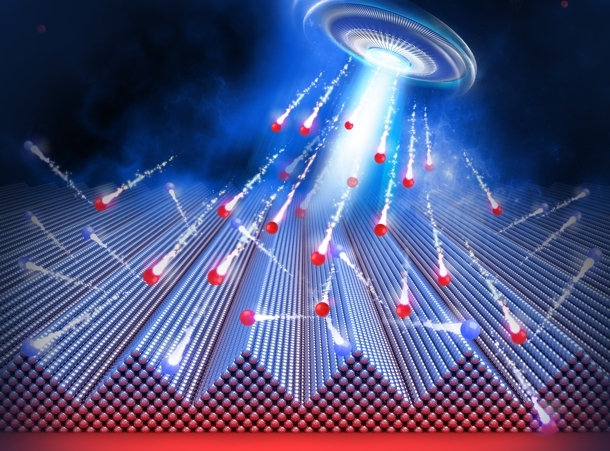 Ion beam deposition is both reliable and provides an excellent end result. This is due to the combination of the magnetron sputtering system used and the ionization process that allows the film to reach a high level of quality. It’s also important to remember that in order for a user to obtain many of these preferable film characteristics, the ion beam tool must be reliable and fully-functional. Other benefits of ion beam deposition include a high surface quality, dense smooth films, and excellent uniformity. Also, expect there to be very low scattering and low optical losses. The flexibility of ion beam deposition is one of the main reasons why users incorporate ion beam sources into their depositions methods. “Spitting”, which is often seen in evaporation, does not occur with ion beam deposition. It also provides both a surface pre-clean as well as a solid film stress control due to a second ion source. Because the preparation of the substrate causes a variety of issues with adhesion, especially for thicker films, ion beam deposition is the preferred method. Next Post:How are Eyeglasses Made?